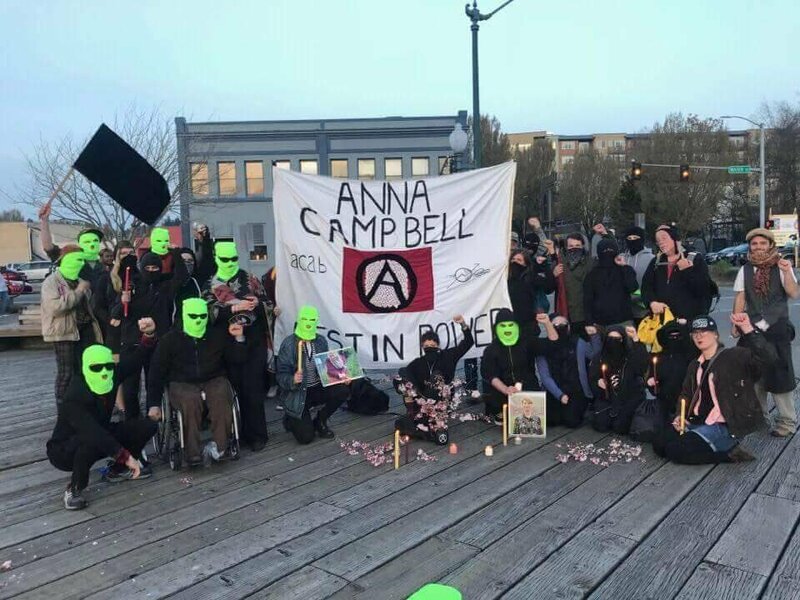 Anarchists living on occupied Duwamish land (Seattle) have issued a call for a decentralized anti-capitalist Mayday throughout Seattle and the region. 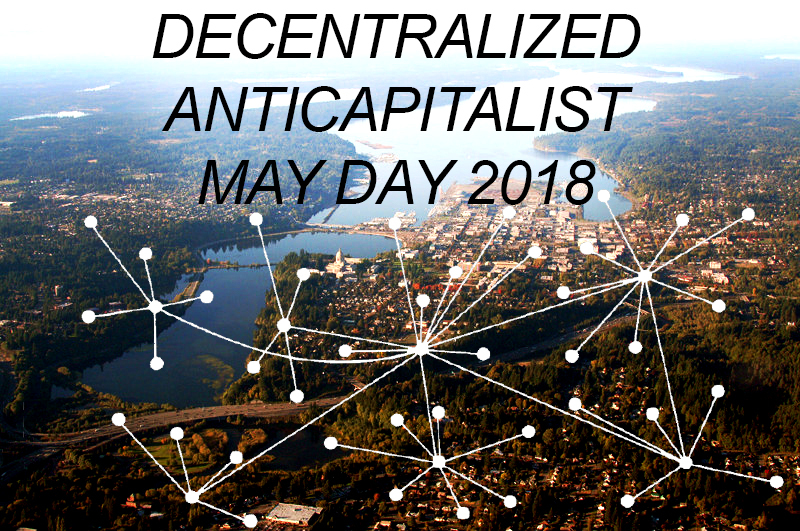 Some of us living on occupied Squaxin and Nisqually land (Olympia) were inspired by this call and have begun organizing decentralized events here. 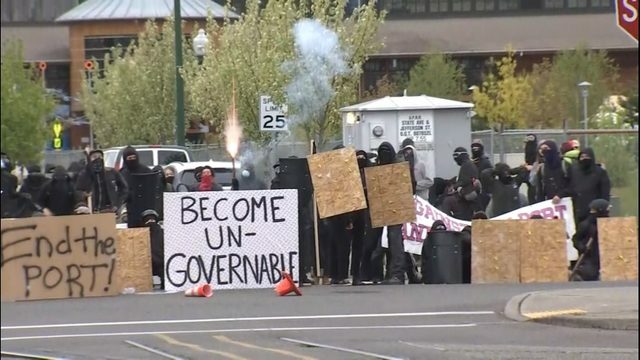 We want to take this opportunity to explain why this is important and invite you to take direct action where you see fit in Olympia and beyond. 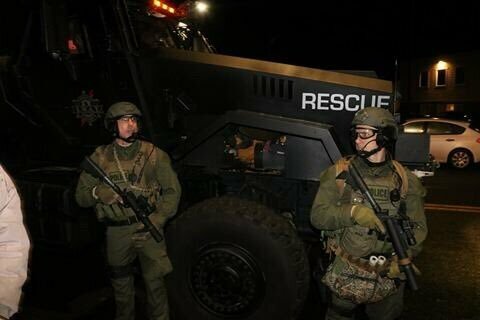 About a week ago we heard about a public forum put on by police to discuss “community safety” in regards to an increase in their budget, we decided to respond. 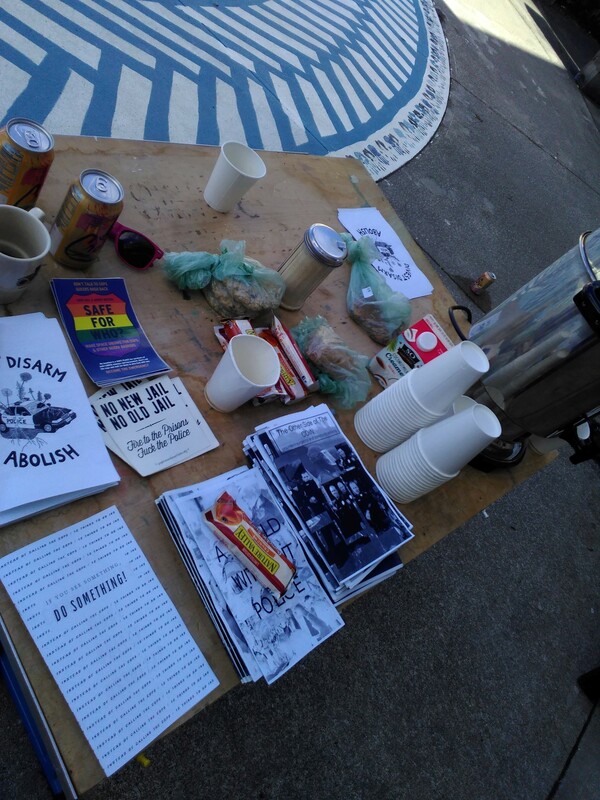 We tabled under a sign saying, “coffee not cops” and passed out fliers, snacks and zines. We had some good conversations with people who expressed their distrust in community policing as well as some conversations with people who dismissed any critique of police as unrealistic. 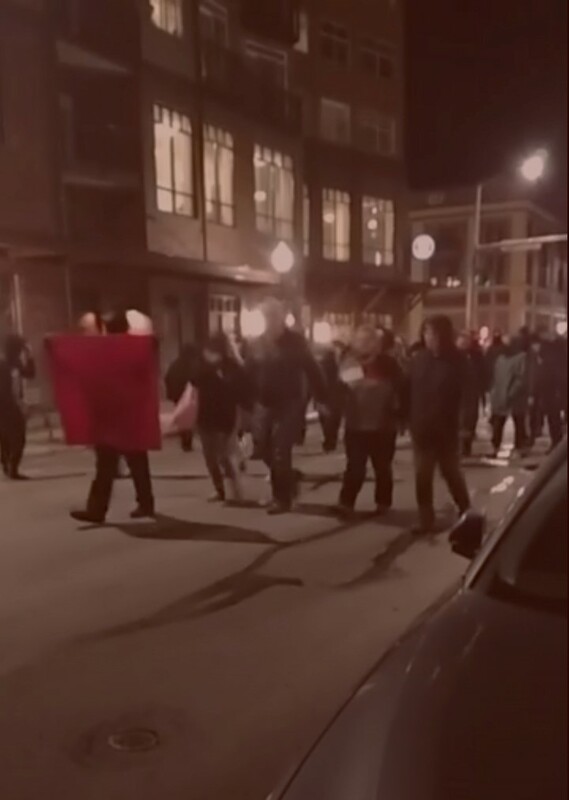 Early this morning (February 7th), police, medics, and firefighters responding to a fire alarm in Olympia decided Vaneesa Hopson was having a “mental health crisis” and needed to be “chemically restrained” and brought into custody for evaluation. Soon after, Vaneesa stopped breathing and was pronounced dead. 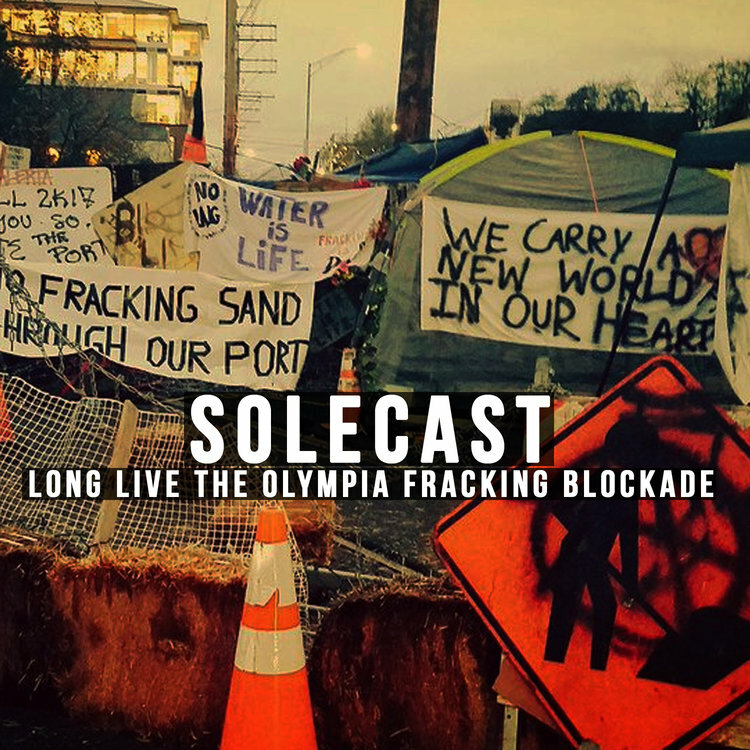 In this episode of the solecast I chatted with 4 participants from the Olympia Fracking Blockade, an occupation that shut down the port of Olympia for 2 weeks in November 2018. 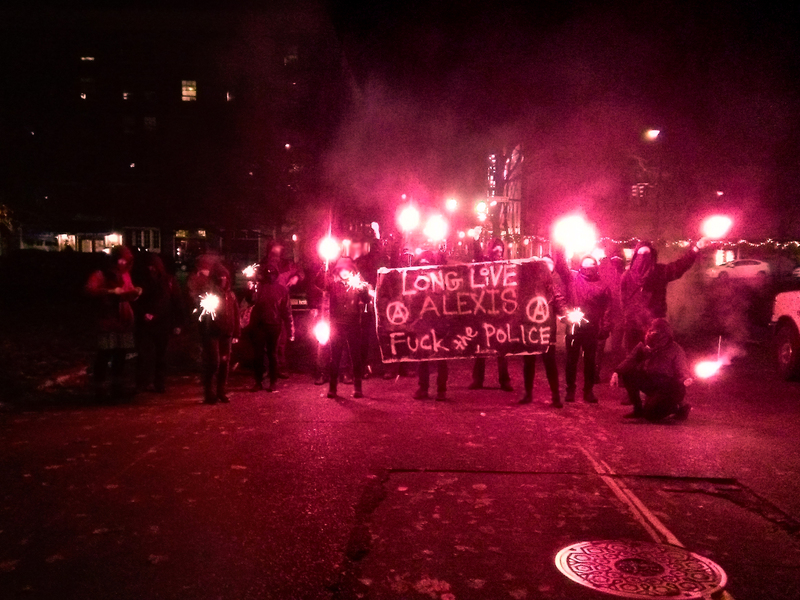 We take a look back on the occupation in the wake of its raid. 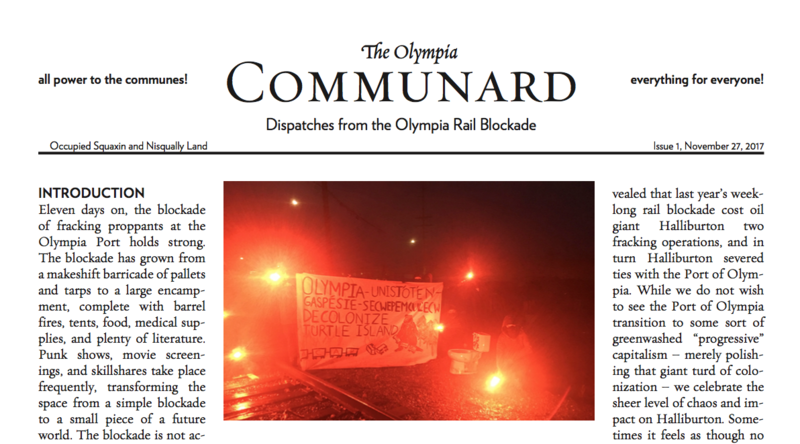 For the last 10 days, an encampment has been blocking the train tracks that lead out of the Port of Olympia, preventing fracking proppants from being sent to North Dakota and Wyoming. 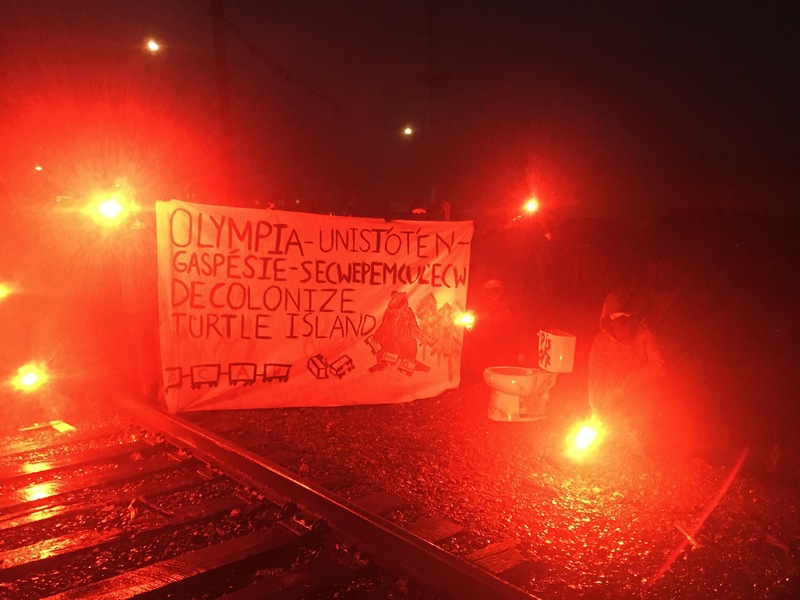 Continue reading #Olympia: Decolonize Turtle Island!